A telephony solution is absolutely essential for all companies, large or small. However, high acquisition and maintenance costs are an important barrier for many companies. SmartCallMonitor Professional easily adds the functionality of a telephone system to your TAPI-capable devices and offers an optimal and cost effective solution. Regardless of whether your computer is a workstation or a server, SmartCallMonitor Professional provides access to connected telephone devices for multiple computers. Is the server equipped with a TAPI interface and you want other computers to have the TAPI functionality too? Install the software on all connected computers. The data of the calls is retrieved by the server and the calls are controlled centrally. There is no need for the TAPI interface on every computer anymore! 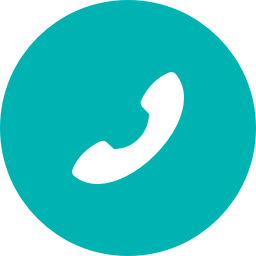 In the sales, customer support department, you can forward a call to the colleague who has been identified by SmartCallMonitor Professional as the responsible account manager using the information from the database. The smart solution communicates between the computers that are connected to a TAPI device. In addition to an automated search for caller data in Microsoft Outlook, Google or the online services for backward searches, SmartCallMonitor Professional also searches your CRM system or any other existing customer database for information. Which of your colleagues receives the most calls, how long the calls take per line and how many calls are processed per day, for example - SmartCallMonitor Professional records and processes all these data for you. This enables you to better assess the performance of individual employees or the entire call center, business unit or company as a whole. Do you want to give SmartCallMonitor Professional a tryout with full functionality and without any obligations? Are you convinced and ready to use SmartCallMonitor Professional in your company now?